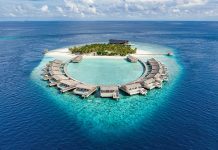 A selection of the world’s best hotels were celebrated in London and New York on 28 January, as AHEAD Global rounded out a two-year cycle of regional heats to name its international winners. 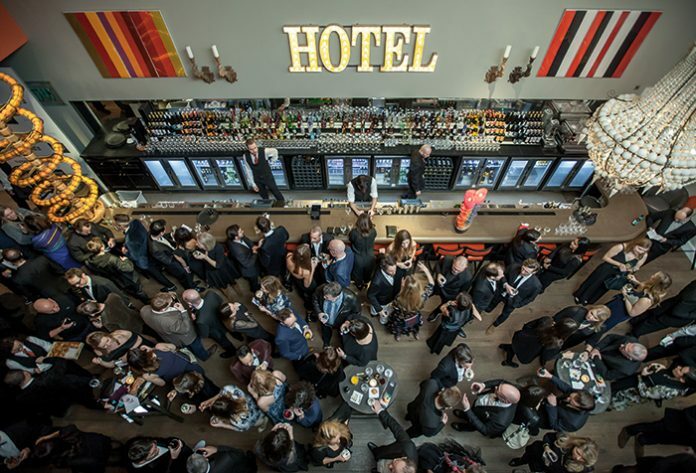 Celebrating the best in hospitality experiences and design, the event took place simultaneously at Firmdale Hotels’ Ham Yard and Crosby Street properties with support from founder partner Grohe. 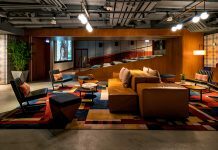 Presented in London by Sleeper Editor-at-Large Guy Dittrich, and in New York by Tara Mastrelli, the night saw the best-of-the-best from AHEAD’s regional programmes battle it out, with Alila Yangshuo eventually named AHEAD Global Ultimate Winner 2019 and taking home the coveted, Lasvit-designed trophy. Following a rigorous judging process to assess the creative, commercial and experiential achievements of triumphant projects from AHEAD Europe, MEA, Americas and Asia throughout 2017 and 2018, judges named overall winners in categories ranging from Guestrooms to New Concept, recognising the efforts of both established and quickly rising talent, and projects from a tented camp in Botswana’s Okavango Delta to a repurposed post office in the heart of urban Belgium. And with the panel deciding the triumphant projects just hours before the ceremony, winners could have changed at any time. Selected from the regional events, the panel had their memories jogged by commissioned videos sent in by each shortlisted project, and with decisions made and the process wrapped up, the golden envelopes were readied as guests took their seats for an introduction and wishes of good luck. Scooping a double of Urban Newbuild and New Concept, Hoshinoya Tokyo – an inner-city reimagining of the traditional ryokan – was commended for its seamless transference and reinterpretation of both physical and experiential elements, as well as its respect for the cultural significance of its undertaking. Judges further noted the flexibility of concept, speculating similar transferences for different regions and cultures in the future. Across the prizes recognising specific facilities, the colossal Faena Forum in Faena Hotel Miami Beach took home the award for event spaces, where judges praised its sheer scope and contributions to revitalising a forgotten district, whilst Singapore’s Warehouse Hotel – the big winner at 2018’s AHEAD Asia – was named best Lobby & Public Space for its welcome gallery within a former godown structure overlooking Robertson Quay. Interior designer Geraldine Dohogne took to the stage in London to accept the award for Zannier Hotels’ 1898 The Post, which drew similar plaudits for its repurposing of an historic Ghent post office in the Conversion category, emerging victorious over impressive runners up including Nordic Choice’s At Six and the Thomas Heatherwick-designed The Silo in Cape Town. Belmond, meanwhile, saw two of its most innovative properties recognised, with Belmond Venice Simplon-Orient Express’ WATG-designed sleeper train carriages named Best Suite, whilst Muza Lab’s Inge Moore accepted the Lodges & Tented Camps prize for her studio’s work at Botswana’s Belmond Eagle Island Lodge. Part of the special awards along with New Concept, the Visual Identity prize was awarded to Australia’s Jackalope, where, deep in southern wine country, Fabio Ongarato Design created a compelling design language to complement the hotel’s distinctive, seductive aesthetic. 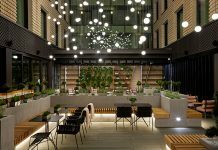 Likewise, covering an area of hotel design often overlooked, the Landscaping & Outdoor Spaces award saw London’s own The Mandrake celebrated for its verdant courtyard amidst the city’s sprawl of concrete and glass. Lastly, taking home the aforementioned Ultimate Winner prize, as well as that for Resort Hotel, Alila Yangshuo – a converted former sugar mill in an estuary of the Li River – wowed the judges with its redefinition of the traditional resort experience. Noting sensitive restoration work by Vector Architects and the firm’s consideration of a mountainous landscape, the panel also praised an impeccable use of water throughout, a stunning balance between old and new, and the project’s success in putting a relatively obscure Chinese destination on the map. The inaugural AHEAD Global marked a night of firsts, including the the first dual-format AHEAD ceremony as well as the first time the programme has opened its voting process to the general public. Presenting the People’s Choice award, Dittrich noted that this category attracted over 100,000 votes from some 7,000 voters before calling Levan Berulava, Managing Director of Adjara Group, the developer behind Georgia’s Hotel Stamba, to the stage. An immensely popular project that not only caught the eye of judges and industry professionals, but regular guests too, Hotel Stamba is set within a converted former propaganda-printing complex, and reimagines a dark past as an inclusive hotel with strong collaborative links to the local community and the repurposing of original equipment, highlighting both the general public’s changing attitudes towards the power and purpose of hotels, as well as just what it takes to appeal to today’s guest.